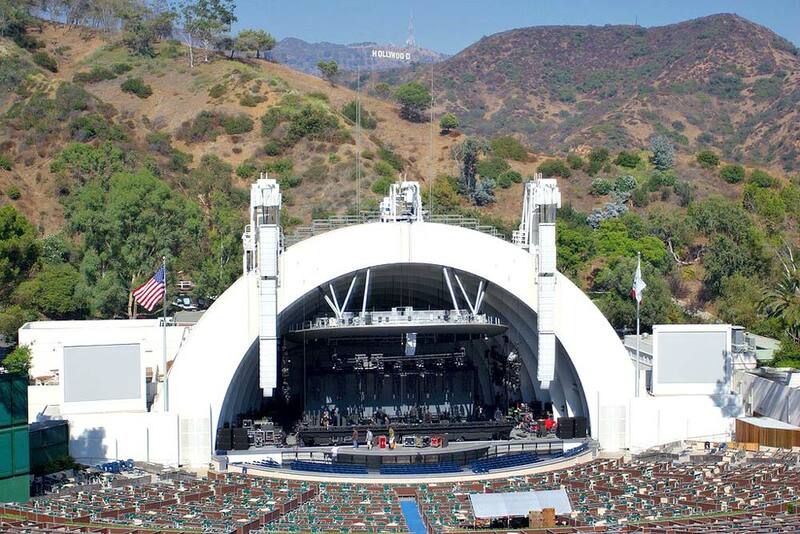 The Hollywood Bowl is one of the most legendary landmarks in all of Los Angeles. Used primarily for concert performances, this amphitheater has hosted some of the most famous names in the history of entertainment. The iconic bowl is also the largest natural amphitheater in the entire United States as it can house an audience of 18,000 people. The Hollywood Bowl is certainly not a new creation although it has been renovated many times over the years. The birth of the venue dates back to 1919. During that year, a man named William Reed, along with his son, was working with the Theater Arts Alliance for the purpose of finding a solid new location for an outdoor performance venue. In the shadow of the nearby Hollywood Hills, he found one. The project to develop a new live performance amphitheater was launched. On July 11th, 1922, on the site where the old Daisy Dell Theater stood, the Hollywood Bowl opened for business. The original version of the Bowl was hardly anything spectacular. Basically, it was a stage with an awning over it. The stage itself was integrated mainly into the existing natural world around it. This quaint version of the Bowl would, of course, be changed and altered over time. 1927 saw one of the major improvements to the architecture as a pyramid shell was built over it. This helped protect the performers from the elements. It also contributed greatly to making the stage a bit more elaborate. 1928 saw the creation of a fiberglass shell and the shell was improved upon in 1929. So well built was the 1929 shell that it lasted until 2003. The very first season of the venue saw performances by the Alfred Hertz and the Los Angeles Philharmonic. In 1945, the massive popularity of the Hollywood Bowl Symphony Orchestra was drawing in large crowds. This orchestra was comprised of many talented musicians from all over Hollywood and the world. Over the decades, a host of great performers have graced the stage of this venue. Mickey Rooney, Mikhail Baryshnikov, Simon and Garfunkle, Abbot and Costello and Billie Holiday were all among them. Cher performed her farewell concert here. Jim Morrison and the Doors released a legendary concert film of an appearance here. Even Monty Python and His Flying Circus recorded a classic performance here. Los Angeles and Hollywood greatly respect the history of what has occurred in the entertainment industry. As a result, famous venues are treated with a sense of reverence. The Hollywood Bowl is one such landmark that is treated with great historical affinity. Also, the fact the powers that be do not allow it to fall into neglect further ensures the venue will remain standing for many years to come. More than likely, there will be scores of other legendary events that take place on its stage. The steady traffic of tourists surely contributes to its ability to remain financially viable.